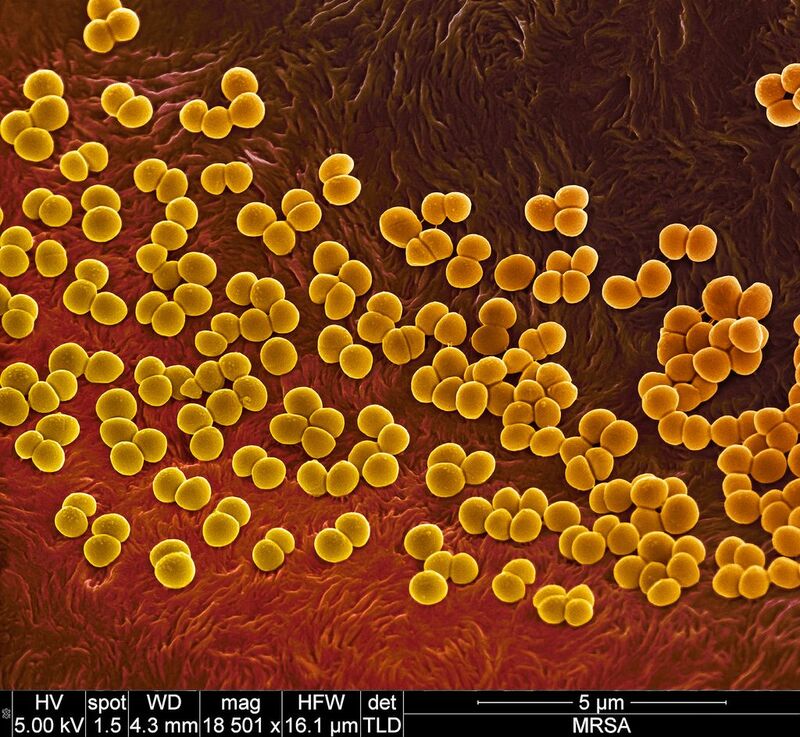 Electron microscope image of MRSA bacteria. Using media resources and online research, students explore the world of nanoscience and nanotechnology. Through a series of hands-on activities that incorporate mathematics and visual media, students explore the nanoscale and how it compares to the macro and micro scales.